Same dress - different vibe. 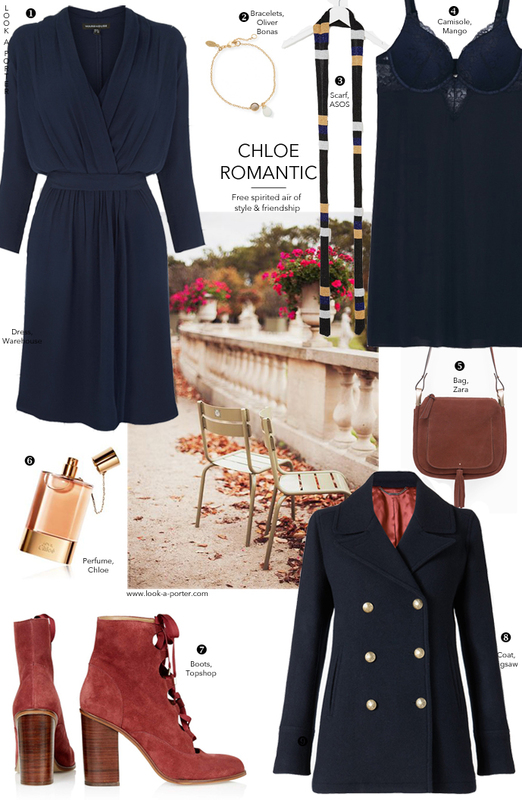 My next idea is inspired by Chloe, the spirit of eternal romance and escapism and the latest Fall/Winter 2015 collection. I wanted this outfit to have a touch of Parisian je ne said quoi, be coquettish, happy, free-spirited and ultra-feminine, hence I added a little slip to the ensemble. Somehow I thought that my little imaginary Parisienne would appreciate a pretty undergarment and a touch of lace. Right now I am very tempted to add these booties to my personal collection. That Zara bag is so gorgeous! I want!